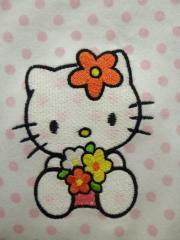 This embroidery is figure of cute little kitty from well known series “Hello Kitty”. 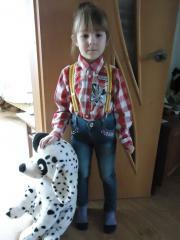 It seems that every little boy and girl loves it. If your child likes it too use Hello Kitty with sea of flowers embroidery design to decorate his or her clothing and accessories. 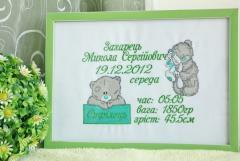 On this picture it is executed on nice light fabric with polka dot design. Vintage design made in the classic cross-stitch technique. Great gift for a newborn or pillow in the nursery. Soft tones of threads and cute plot will be pleasant to look at. A good gift to a young mother. Teddy bears and their variations are always marketed as a plot for machine patching. 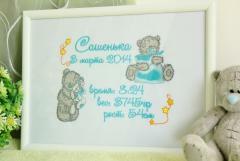 Size 1: 5.42x 6.45' Size 2: 6.02 x 7.17' Embroidery charming cute bear and bunny make the room of the child much more comfortable and fun. 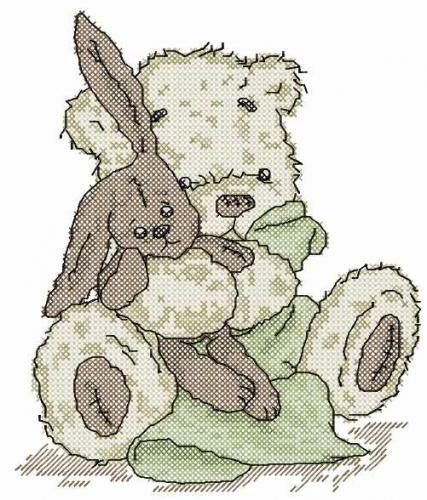 This Bear and the Bunny Machine Cross Stitch Design, presented in two sizes, is also suitable for a set of blankets in the stroller. Both mother and child will be pleased to take such things in their hands and look at them. 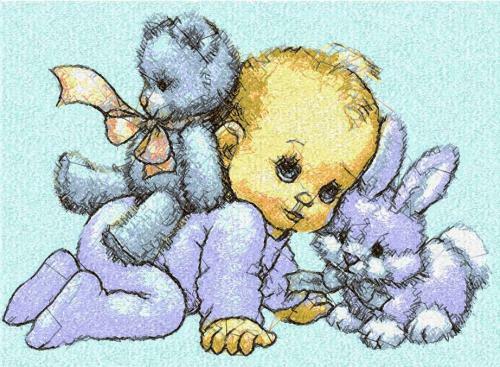 After all, even in adults this image is associated with love and care, gentle hugs, warmth. Plush animals are given to children almost everything, embroidered on the pillow or blanket, they will be a gift original and practical. To obtain a quality design, you must use the appropriate stabilizer and the correct tension of the material. Always do test embroidery on the fabric and stabilizer you are going to use! This picture of small cute bunny girl always causes tenderness from any person who looks at it. This child in pink tutu skirt seems to getting ready to its first performance. That’s why it is hugging its little toy which is able to give it some confidence and peace of mind. 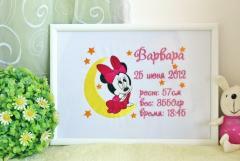 Bunny the ballerina machine embroidery design is made on the white terry surface which also reminds the fluffy fur. 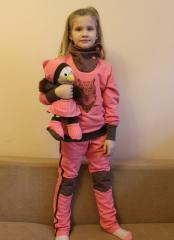 Download this Author: Joan Shaw‎ Author comment: "A birthday gift for a girl friend, thank you I am sure she will love [email protected]"
This is cool textile set prepared as gift for little child. It consists of two items: each of them is connected with girl’s favorite character. 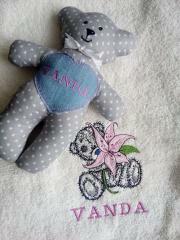 There are soft toy made of star printed fabric and pleasant terry towel. 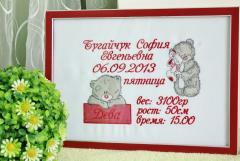 This necessary thing is also decorated by picture of Teddy bear. 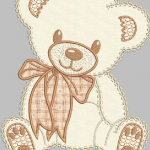 It is Teddy Bear with lily embroidery design. Both items are added by its little owner’s name. 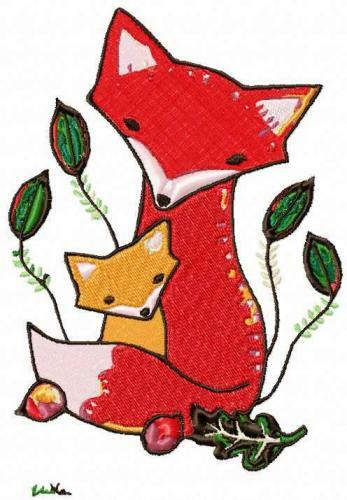 This picture is the cute example of using embroidery for decoration of the clothing. 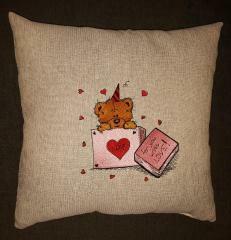 Here you can see the nice fluffy bear dressed into the rose t-shirt embellished by Young fairy machine embroidery design. It is the image of magic little girl who is sitting right on the air with her friend rabbit. 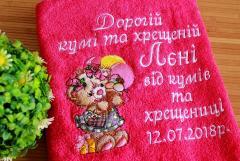 The violet color scheme used for this embroidery perfectly fits the pink background of the bear’s t-shirt. This is pretty small cushion of calm natural color. It could even look boring if it wasn’t decorated by pretty embroidery sample. 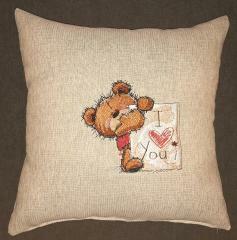 It is Teddy bear with I LOVE YOU board embroidery design. Author even didn’t need to change original color scheme: it is perfectly suitable for this work piece. 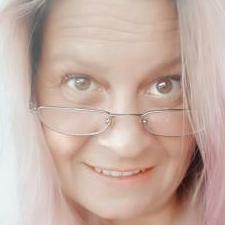 You may use this funny and original picture if you want to please your beloved person. 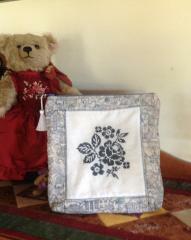 This is pretty little cushion in calm pillowcase of natural color. But due to small interesting detail it can give merry festival mood for birthday man for all day! 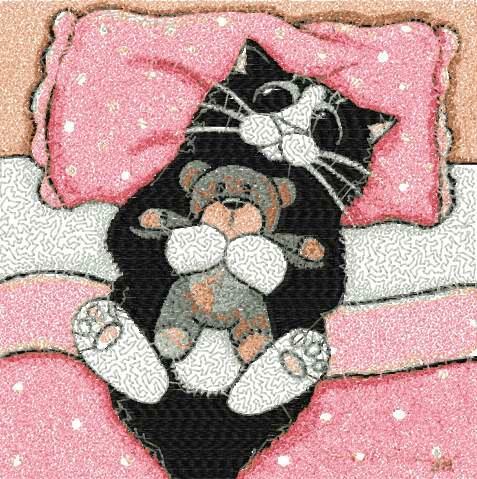 This magic picture is Teddy bear in box embroidery design. Just look at muzzle of this funny little bear to catch a piece of same inspiring mood even if this day is not your birthday!